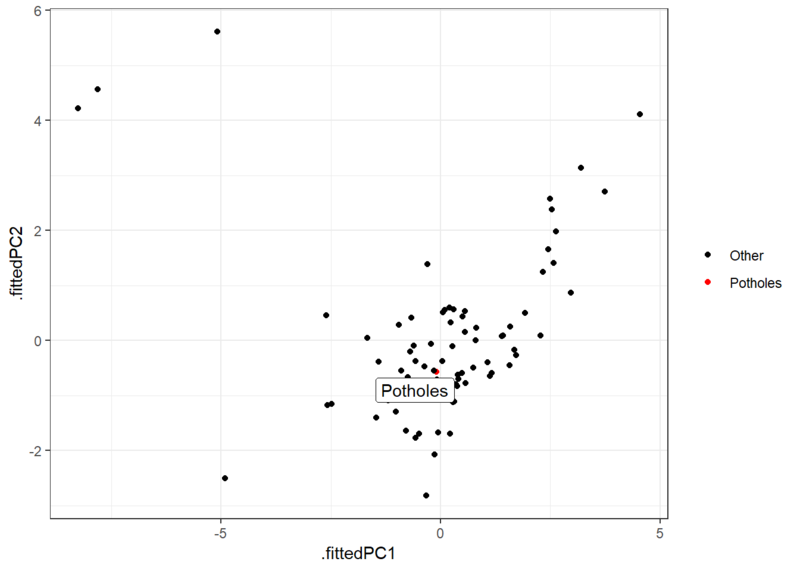 Principal Component Analysis is an unsupervised method that reduces the number of dimensions in a dataset and highlights where the data varies. 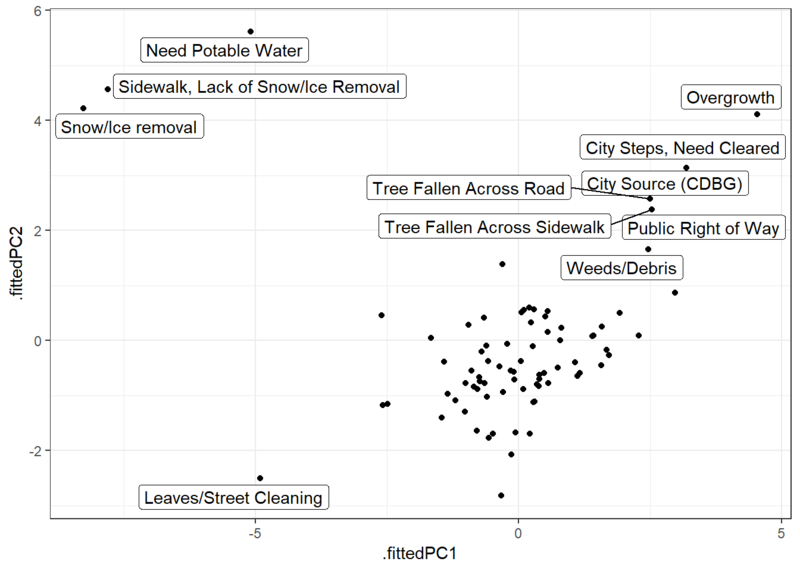 We will use PCA to analyze the 311 dataset from the WPRDC. It is not feasible to plot all the months against each other. 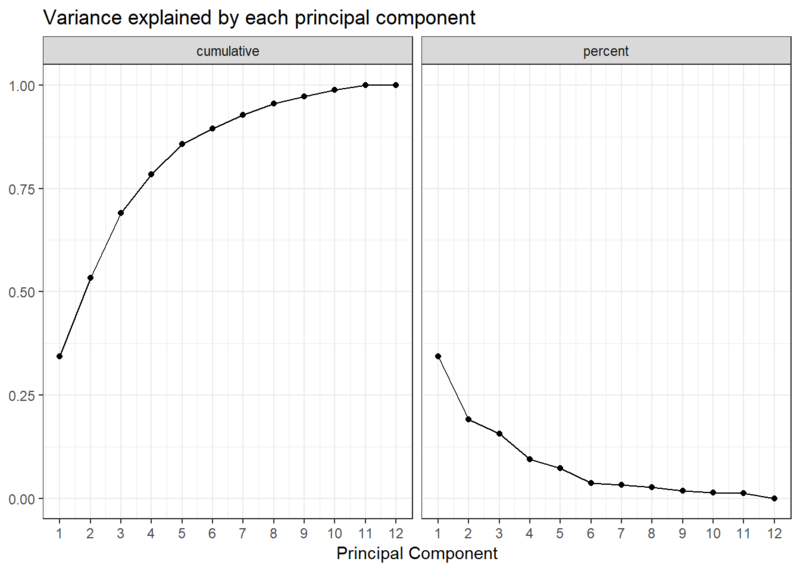 PCA can help by condensing the columns and increasing the variance. 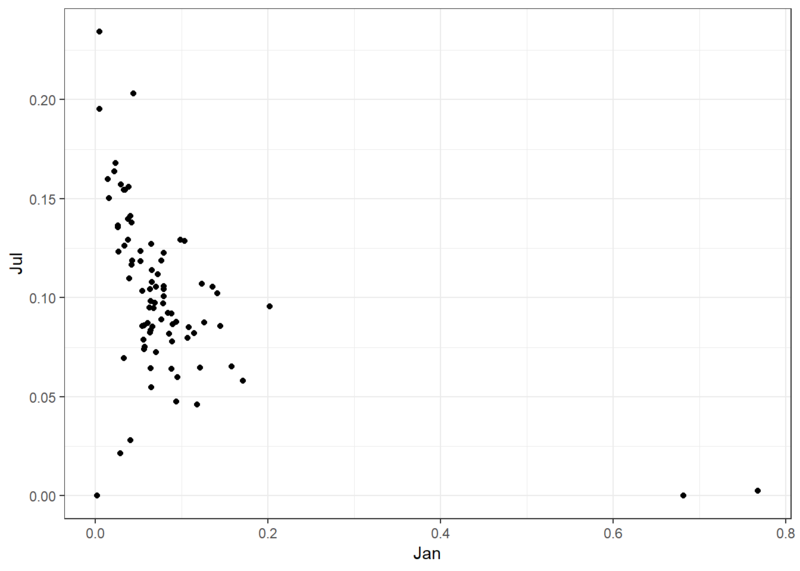 PCA creates eigenvectors that represents the data in a concentrated way. 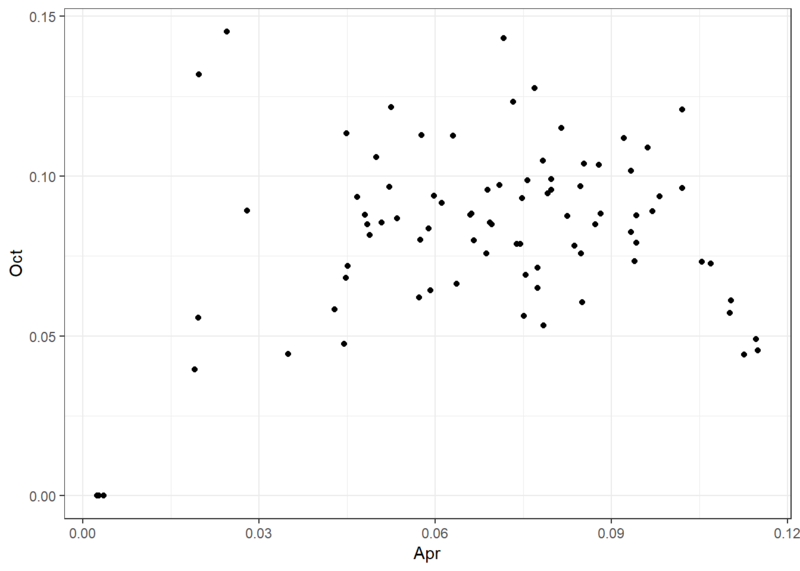 Eigenvectors and eigenvalues do not represent observed data. They are calculated representations of the data. We will refer to eigenvectors as “principal components”. 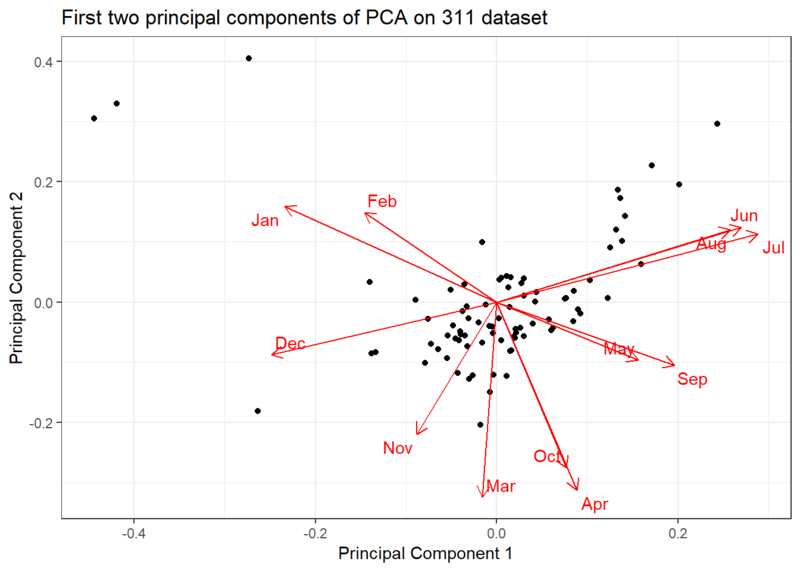 In this case, where our data is measured by months in a year, each principal component could loosely be compared to a season.